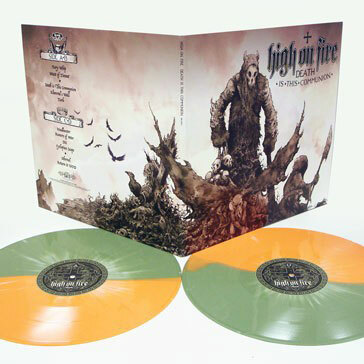 HIGH ON FIRE’s classic records, Surrounded By Thieves, Blessed Black Wings, and Death Is This Communion are each receiving a deluxe vinyl reissue this July via Relapse Records. Out-of-print for some time, each album is being released as a gorgeous 2xLP set on two brand new, exclusive colors complete with gatefold tip-on jackets. The vinyl will be released on July 23rd and is available for Pre-Order along with detailed pictures HERE.